For a number of years, we have been operating as lightbox printers in Nottingham and throughout the surrounding areas. All of the lightbox printing we carry out is created using quality inks and materials to ensure the highest possible standard of finish. We always aim to not only meet but exceed our customers’ expectations. No matter what size or style of lightbox prints you might need, we have a great range of options to choose from. You can order quantities of 10 or if you require more then all you need to do is get in touch with us for a free quote. When it comes to needing lightbox prints in Nottingham or any of the surrounding areas, be sure to order from CRS Graphics. 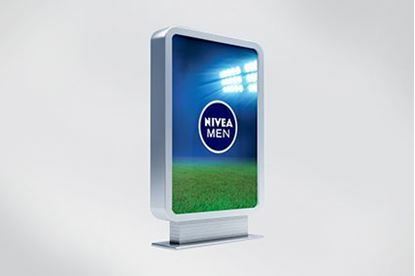 Lightbox display prints are full colour graphics that allow your advertisement or print to stand out from the crowd. Using translucent PVC the full colour graphics will stand out when the light shines through them. All of our lightbox display prints are created using quality inks and materials. Whenever we carry out lightbox display printing, we can work with a design that’s provided to us or alternatively we can create one for you. Whether you’re in need of portrait or landscape lightbox prints, we can create them for you. Should you be in need of professional lightbox prints in Nottingham or any of the surrounding areas, then be sure to order from CRS Graphics. We offer fully customisable lightbox prints, that are designed to make your design stand out from the crowd. Lightbox printing is something we specialise in and we have provided prints to both businesses and individuals throughout Nottingham. When it comes to lightbox prints, be sure to order online from CRS Graphics. Alternatively get in touch and one of our team will be more than happy to assist.